Kenyans are among the people who use the internet the most. They are social media addicts. KOT (Kenyans On Twitter) are literary known all over the world. Dare say anything negative about Kenya and you will face the wrath of KOT. The same KOT raised kes 6 million for Jadudi, who had brain tumor, to undergo a surgery abroad. That was unbelievable, Kudos KOT. 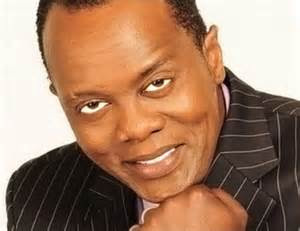 The former CNN and K24 newsman hosts his own show Jeff Koinange Live (JKL) and he is truly a force to reckon with. Oh My! He is now the face of Tusker advert and he is on point. He is the king of twitter at the moment. The eccentric host of one of the top TV talk show, The Trend, is also quite popular on the Twitter streets. He’s loved and loathed in equal measure. Hopefully, Nairobi Gossip led by DJ RcNaby Keytoe will sneak into his show, some day! 3. Julie Gichuru (@JulieGichuru)- 513k. The Oscar winner is followed by 395k fans on Twitter and counting. Lupita’s rise to stardom has been steady since the days she would hustle for a role in stage plays at the then dilapidated Kenyan National Theatre. Her star is now shining bright and high in the corridors of Hollywood thanks to 12 Years A Slave. She hosts a sports show on Kiss and Classic FMs on weekends and apart from the radio, she has hosted various football shows on pan-African TV channel SuperSport. Witty and full of life, she knows her sports very well. McDonald Mariga’s brother, Victor Wanyama has grown into a cult figure at Southampton FC in England and is one the most expensive African players in Europe. The former AFC Leopards SC midfielder is feeling lots of love on Twitter. The most successful boy band in East Africa is also one of the best followed music bands in the in Africa. leader of the most powerful nation on earth, then you must be quite popular too online. Shaffie Weru used to be known as the ultimate party guide in Nairobi. He would party hard, “chomaining picha” in the process. Perhaps his ignominious show at Nakuru 10 rugby tournament was the lowest he ever sunk. He was escorted out of the venue by bouncers drunk, disheveled and half-naked. Mafans still love him though! The controversial radio host has mellowed with age. Juliani has carved a unique niche for himself in the unforgiving Kenyan music industry. He has stealthily moved from the gospel music artists bandwagon to producing quality social justice music. The move paid off as he has cut lucrative deals with various corporates and NGOs. The deals too seem to have come with a sizeable Twitter following. The king of comedy makes people laugh on TV and online too. Mwalimu Churchill (Daniel Ndambuki) has quite a huge following online because of his witty and funny jokes in his weekly Churchill Show comedy show on NTV. Did we leave anyone out? PS: We did not include Twitter “bigwigs” whose only claim to fame is to starting trending topics and are entangled in various scandals ranging from extortion to flesh-selling.